For the first time since the financial crisis struck, the city is starting to focus less on emergency response programs and more on neighborhood revitalization. Beginning next year, the RICH program (Re-Invest in City Homes) will sell certain city-owned foreclosed homes for as little as $1. Also in 2015, city planners are allocating an additional $1.8 million towards housing rehabilitation and reconstruction efforts. RICH will help qualified buyers get into homes in some of the city’s most distressed neighborhoods by making special low interest, 10-year loans available to them to aid in making renovations. 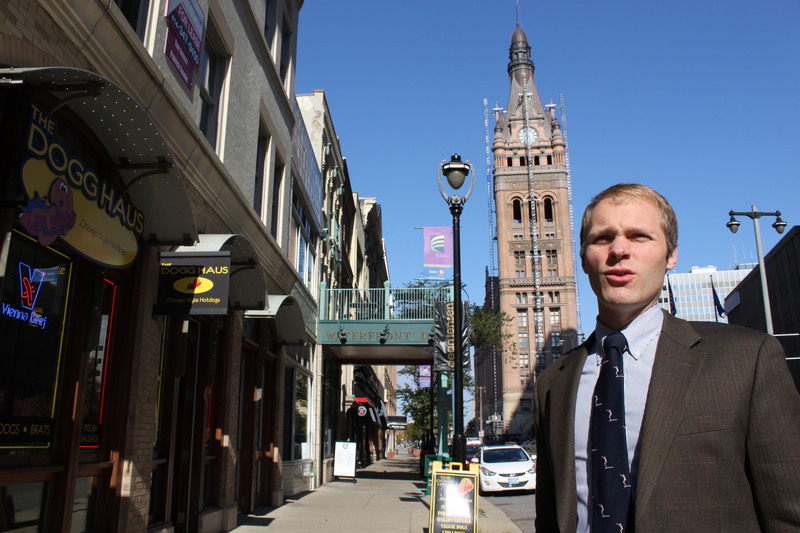 Program details are currently being finalized at City Hall for rollout in early 2015, according to Sam Leichtling, program director for the Neighborhood Improvement Development Corp., which will administer the program. RICH will be funded by monies already budgeted for neighborhood improvement projects. Prospective buyers will need to qualify for RICH and only certain homes will be for sale. Buyers cannot have owned property in the city for the previous two years, must have uninterrupted employment for a year and a favorable rent, utility and debt repayment history. Borrowers will not be able to exceed a mortgage-debt ratio of 30 percent, or a total debt ratio of 40 percent of income. Under the program, proposed by Ald. Russell Stamper, buyers will work with the Department of City Development on a rehabilitation plan to address city code violations and other improvements. As the city shifts focus in 2015 from emergency mitigation of the worst effects of the foreclosure crisis that started in 2008, it plans to spend an additional $1.8 million in housing rehabilitation and reconstruction programs. Total spending on those efforts next year will be $10.3 million, including home loan programs, code compliance loans and a program to encourage development of city owned commercial property. Another program, Lease-to-Own, helps renters become homeowners. The program is for renters currently living in properties that the city has foreclosed upon for tax delinquency. In a ceremony Monday, Mayor Tom Barrett was expected to congratulate Monteria Tillman as she took ownership of the property she has been renting. Tillman is buying the home for $1. The city has identified approximately 50 tenants in tax-foreclosed properties as candidates for homeownership. One sign the city is working through the foreclosure crisis is in the expected drop in home demolitions. Through the end of this year, the city expects to have demolished about 400 homes, the most in its history. The 2015 budget anticipates 170 demolitions. 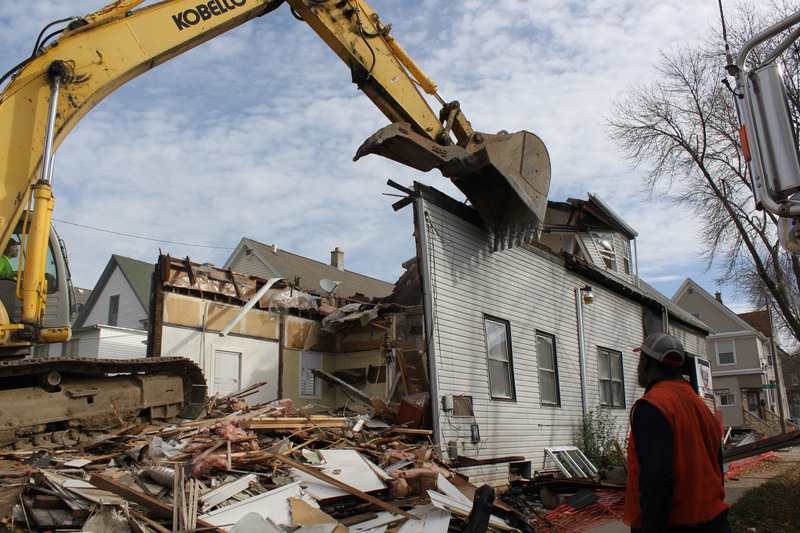 Milwaukee demolishes fewer homes than other Midwestern cities, like Chicago and Cleveland, according Szopinski. When a house is torn down here, it is often for safety reasons, sometimes from a fire or sitting vacant too long, or because it has become a haven for criminal activity. In the wake of the demolitions, vacant lots now dot many neighborhoods. The city’s 2015 budget includes $200,000 for developing 80 to 100 empty lots where houses recently stood. Some projects will improve neighborhood drainage while others focus on converting open lots into productive places. The city hopes to attract additional funding, and plans to work with a range of partners on the projects, including the Greater Milwaukee Foundation and the Zilber Family Foundation.